Well, the spells are done, functionality wise anyway. 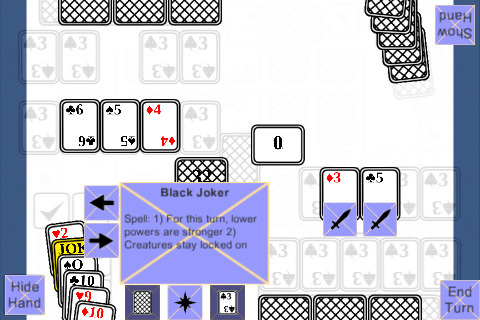 The screenshot shows one of the last ones coded: the Black Joker. It has an effect that lasts for the rest of the turn so I want to have some sort of animation to show when the effect is active. What’s next: coding permanent abilities.